Unfortunately, when you’ve suffered a personal injury, there’s a risk that events can take a downward turn after the accident. Beware the sudden appearance of insurance adjusters looking to make a quick settlement for your injuries. Though they may sound helpful at the time, these experts are aware that many car accidents and the like result in soft tissue injuries. These injuries affect essential nerves, muscles, tendons, and blood vessels, and are difficult to assess immediately following an accident. These injuries affect essential nerves, muscles, tendons, and blood vessels, and are difficult to assess immediately following an accident. Personal injury is any kind of physical injury that has been inflicted on a person, rather than the damage that has been inflicted on a person’s property or reputation. A typical personal injury case can turn into a very complicated and confusing process. However, they will generally follow a very predictable path during the process. 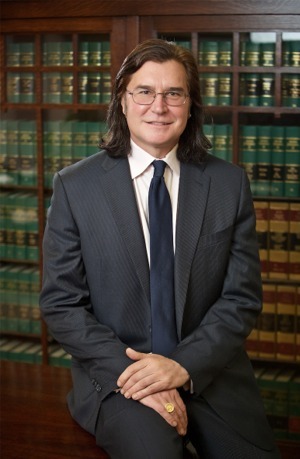 It is important to understand this process and how hiring an experienced attorney can only help you in these matters. In the state of Oregon, the statute of limitations for all personal injury cases typically gives the injured party up to two years. The two years must follow the initial date of the inflicted injury. If not, they will be unable to seek compensation. In some personal injury cases, the person you are filing a claim against may actually say the accident was due to your negligence, and not their own. If there is any chance that the liability can be shared between the two parties, then you may lose some compensation. Oregon’s Shared Fault rules state that if partial fault is found, then your compensation will be reduced to equal the percentage of your fault. However, if you are responsible for more than fifty percent of the fault, you will not receive any compensation at all. Many states also set a cap on the amount that can be collected for damages in civil court. For example, a wrongful death claim in Oregon is capped at a $500,000 limit for economic damage. The cap for other types of personal injury claims typically changes from year to year. However, an experienced Oregon personal injury attorney will be able to discuss this with you. They will also tell you what you can expect from your claim. Oregon also has the Oregon Tort Claims Act. The Act can put a limit on how much a person can collect in compensation for a personal injury claim. Damages refer to the compensation you receive for a personal injury claim. The person that is liable for the accident, as well as the insurance company, must pay. Compensation can be received for a number of things. Medical care and expenses, missed work and lost income, and pain and suffering are just a few things that deserve compensation. The damage formula helps put a price on the pain and suffering the injured party experiences. This type of expense is referred to as a special damage. To figure out the sum, the insurance adjuster multiplies the special damages by between one and a half up to five times depending on the severity of the injury. On top of that, all lost income will be figured in as well. The number that the insurance adjuster reaches with the damage formula is the starting point for settlements and negotiations. Formulas will vary among different insurance companies and adjusters, but they all tend to follow the same rules when it comes to negotiations. They won’t tell you how they came up with the number and instead offer you a point at which you and your lawyer can begin the negotiations and settle on a final amount. After you receive medical attention for your most pressing injuries, it’s time to contact an experienced personal injury attorney. They help with litigation and receiving compe nsation for your injuries. 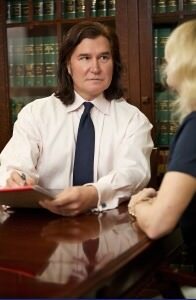 Understanding the basics involved with the personal injury process is important for the outcome. Filing your complaint, gathering your evidence, finding an experienced lawyer, and finding a way to settle are all steps in the process. An insurance adjuster wants to find a way to pay out as little as possible when it comes to personal injury cases. It is their priority to keep the insurance company they are working for profit. The victim’s best interests are not their concern. They know that a good litigation firm, such as Portland’s Peterson Law Offices, is well aware of their tricks. Once you contact a lawyer, time is your friend rather than your enemy. However, before that, it’s crucial that you act quickly. Documenting your injuries right away shows how they relate to the accident. The sooner the members of Peterson Law Offices can get on your case, the sooner you can relax and concentrate on your own personal recovery. There are four ways in which you can receive compensation in Oregon due to a personal injury case. These four ways include negotiation, mediation, arbitration, and trial. While not every case is typical, it is best to understand the many ways in which the case can go. Then you are better prepared for what’s going to happen regarding your case. An experienced attorney can also answer any and all questions you may have and will be able to walk you through every step of the process. Have a look at our many testimonials here on the website to get an idea of how we at Peterson Law Offices can help you after a personal injury. Our FAQ will also give you an idea of what you can expect. As we mention, every case is different, but it’s always worth asking us about yours. Contact us now at 503-280-0888 to learn more now. I want to help you get all the money you deserve, so please begin by filling out this short form to find an experienced nursing home attorney to help. Please specify whether the nursing home is in Oregon or Washington state, and give some brief details in the comments.